I should start this post by saying I am still very much in my baby haze. I thought that life would get back to normal pretty quickly, this being our third baby and all, but actually it has done anything but. Yes we have got back to a temporary new sense of normal, days being taken up with breastfeeds, nappy changes and the hectic times that come with juggling three children, but actually we aren’t really properly back into anything that could resemble a normal routine yet. For starters I can’t drive for another couple of weeks. They say to wait until six weeks after your c-section, which I kept to by the book with Mads but with LL I drove after four weeks. Our baby boy will be three weeks on Monday and all being well I think I will start to drive again at four weeks post partum. I am starting to get very fed up of not being able to get myself around and having to rely on my Mum and Mr E for lifts, although I am treasuring them being so helpful and looking after me so well. Another thing is that my recovery has been a lot slower this time. When I say it has been slow, I have generally been feeling really good all things considered, I haven’t been slow, I have been busy, getting out and about, trying to do the odd bit of housework and generally overdoing it probably more than I should. We went out shopping for the whole day last weekend and it has really set back my recovery- my scar is hurting more than it probably should do and that is getting me frustrated as I just want to get back to normal now. It isn’t really in my nature to take it easy and slow down and whereas I was out and about straight away with LL, I think this time I may have overdone it a bit too much. I also wasn’t aware for quite how much the emotions would hit me the third time round. I knew I would get those ridiculously heightened emotions after birth, I had it with both of the girls and true to form I got it again this time round. The first two weeks, especially the first week and a half, I would literally sob at anything and everything, it was such a surreal experience as one minute I would be laughing and the next I would be crying. My hormones have calmed down now to an extent, but I still feel incredibly emotional. I am certainly not bursting into tears every two minutes like I did before, but I do feel raw and vulnerable if that makes sense. I think a lot of it is tiredness, but I just look at my little family and I can’t quite believe they are mine. 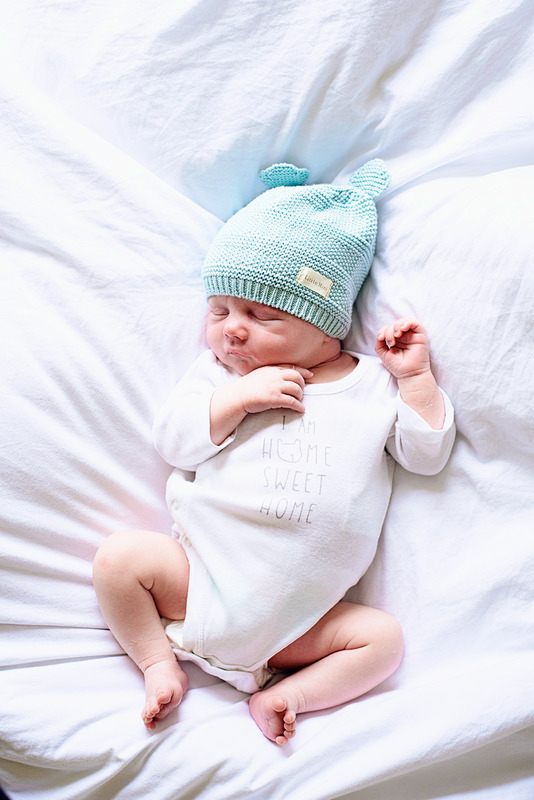 It is like our baby boy has just completed our family and I feel on top of the world and that makes me feel really vulnerable- the capacity your heart has to love your children and the way it almost hurts loving them as much as we do. On Thursday afternoon I went to pick Mads up from school with Mr E. I haven’t really been on the school run recently as I can’t drive, but the sun was shining and we thought we would surprise her and then go for a picnic after school. When she saw me she ran over to me so excited, her little face smiling and her eyes twinkling with joy. But just before she got to me she tripped and literally went head first into the concrete. The sound was awful, it was like a huge crack, but at first I thought she was ok. It turns out she had banged her head and within seconds there was blood pouring from her. I am not being dramatic when I say I have never seen anything like it, it was just horrific, within seconds her blue school top had turned red and she was leaving a trail of blood across the playground as I rushed her into the school office. There were still loads of children about and as we passed them in the corridor they were saying ‘Oh my god’ and looking shocked. She was so upset and it took a good half an hour to stop the bleeding and get her cleaned up. Luckily her teachers and the wonderful office manager looked after her and helped her as I literally turned to jelly. I ended up crying in front of them cause it was such a shock. A trip to A and E later and her head was actually not as bad as we thought, apparently the head bleeds a lot, but they glued it and sorted her out. It’s all been forgotten now and is healing well, but I couldn’t believe how much it hurt and shook me up seeing her like that. Again it just proves how being a parent is both the toughest and the sweetest job in the world. I think at whatever stage in your parenting journey you are at, it is just so vulnerable loving your children so deeply. There isn’t really much point to this post, it’s just a rambling of thoughts and emotions. I am relishing these newborn days with our little boy so much. On a Tuesday and Thursday it is just myself and him and we sit and snuggle on the sofa all day. I didn’t really have a chance to do that with LL as Mads was around, so I really am making the most of it. I thought I would want to get out and about a lot, take loads of photos of him, and show him off to as many people as I could, but in actual fact I am really quite happy just being at home. He is already starting to look a little less ‘brand new’ and he is changing so much every day, so I am happy to just enjoy him and spend time cuddling him. He spends the majority of the time in my arms and I couldn’t think of anything else I would rather be doing. Taking photos, blogging, tidying the house- they can all wait. These newborn days go so quickly and I am relishing every single second, even if it can be exhausting at times. This little boy has turned our world upside down and we couldn’t be more thankful. Pretty much the only ‘big camera’ photos I have taken of him in the last week. Oops! Sorry for neglecting the ordinary moments recently. I just really have struggled to find the time to write my own blog let alone comment on others. Hopefully normal service will resume soon! Aww Katie he is utterly adorable, snuggling up and just enjoying him sounds exactly the right thing to do! And take care of yourself, I found my recovery after Pip the hardest, and I’m sure it’s part of the toll that three babies take on your body even before you add I looking after the big sisters! Oh, poor Mads! What a fright you must all have had! Oh no poor Mads 🙁 I would have crumbled too if that happened to either of mine. I’m so pleased she’s ok.
Oh my poor little Mads. I am glad it wasn’t too serious and that they fixed her up, but still its a shock to see them hurt like that and the oodles of blood rarely helps the matter does it? What a detour to the dreamy family picnic ay? Life goes that way sometimes doesn’t it… Sadness! But of course great she is okay.